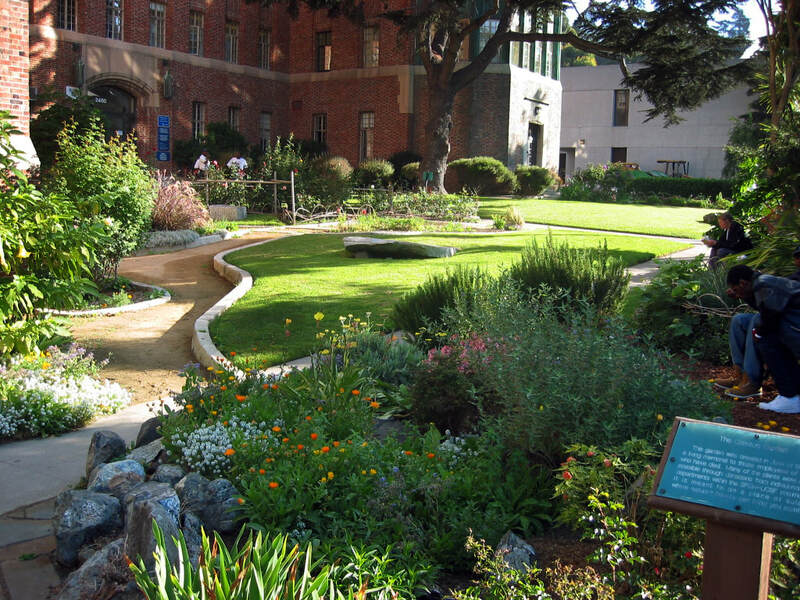 Commissioned as a "comfort garden" for AIDS patients and hospital staff, Companion Place echoes the care giving function of the institution. The garden was designed to provide respite from the intense activity inside. It is sited to take advantage of a wind shadow, the warm winter sun and a view of Bernal Hill which provides a place to rest the eyes and the mind. 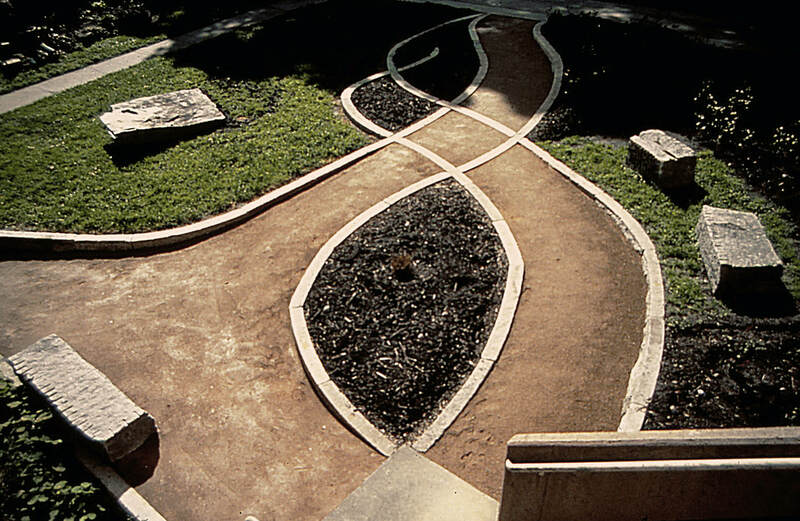 The double helix is defined by granite curbstones and was designed to inspire thoughts about human cycles and to suggest that this garden is a host for all phases of human life. A large flat stone suggests a dolmen, a place for the spirits of departed people to reside.